Vegan Chocolate Avocado Mousse. 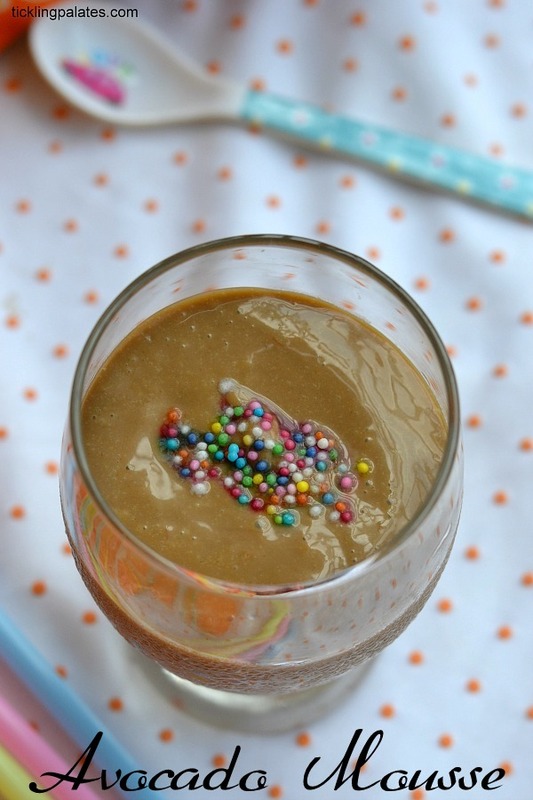 An eggless dessert that is healthy and elegant to serve be it to yourself or to our guests. It takes literally no time at all to make and enjoy. After making guacamole and popsicles using Avocado, I’m totally in love with this awesome fruit, which is really surprising as I never had any taste for anything that is so shockingly bland and this fruit is exactly one, in my opinion. I mean, come on a fruit can taste anything but bland, how’s that even possible. But that is exactly what makes an Avocado a prime candidate to use in desserts to make it healthy as it adapts superbly well to the recipe and totally blends with it. And team it up with Chocolate in holy matrimony and what you have is a delicious couple as a Dessert. With absolutely nil cooking time, spooning the deliciously creamy mousse into your mouth itself is a gastronomic experience that I would willing do it for breakfast, lunch and dinner daily. The only trouble is that I fin dit hard to get good quality avocados in my place and the ones that I get are rock hard that takes literally at least 2 weeks to become ripe in order to use it in any recipe. Just make sure that the tender coconut you are using is soft and supple. If its a bit hard, use little tender coconut water or even coconut milk to grind to a smooth puree. If you do not have either coconut water or coconut milk, use regular milk for grinding. 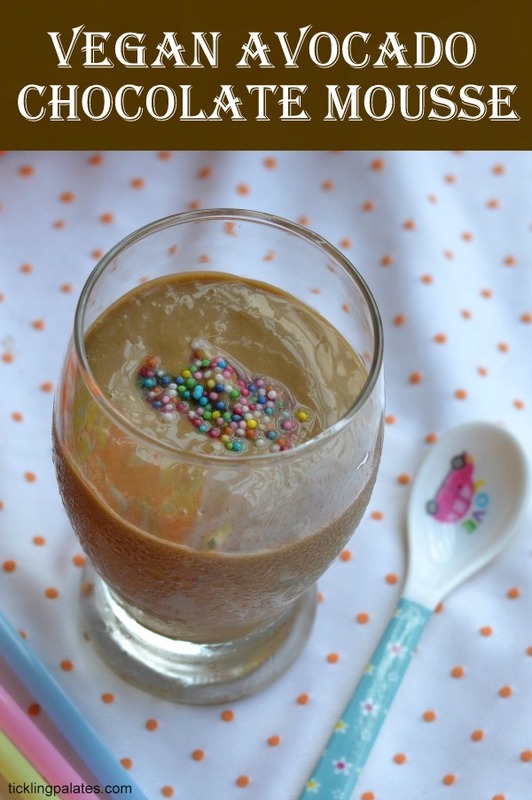 Vegan Chocolate Avocado Mousse - An eggless and healthy dessert that needs no cooking at all. Place the sugar in a mixer jar or food processor and powder it. Cut the avocado into two, remove the seed and scoop out the fruit. Transfer to the same mixer jar. Add the tender coconut, cocoa powder, vanilla extract and process till smooth. Transfer to individual bowls and chill for an hour in the refrigerator. Serve immediately with either sprinkles or roasted nuts on top. Nice one and loved the clicks too!! 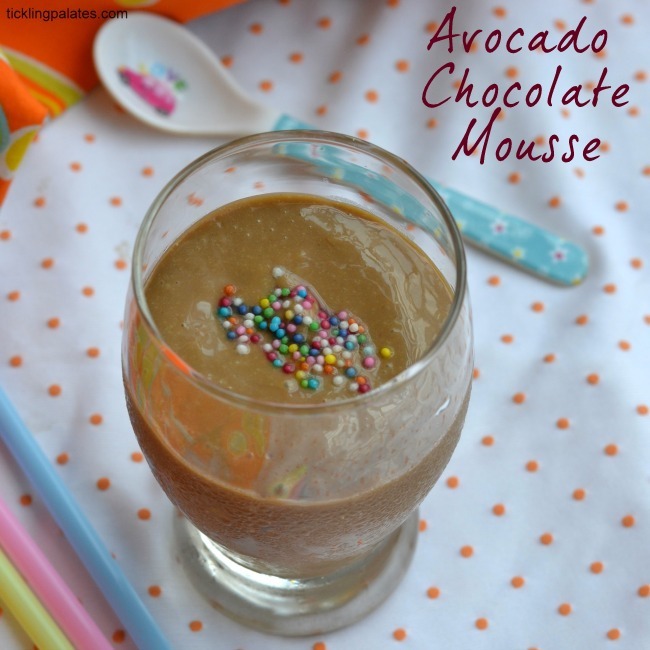 Love the combo of chocolate and avocado. 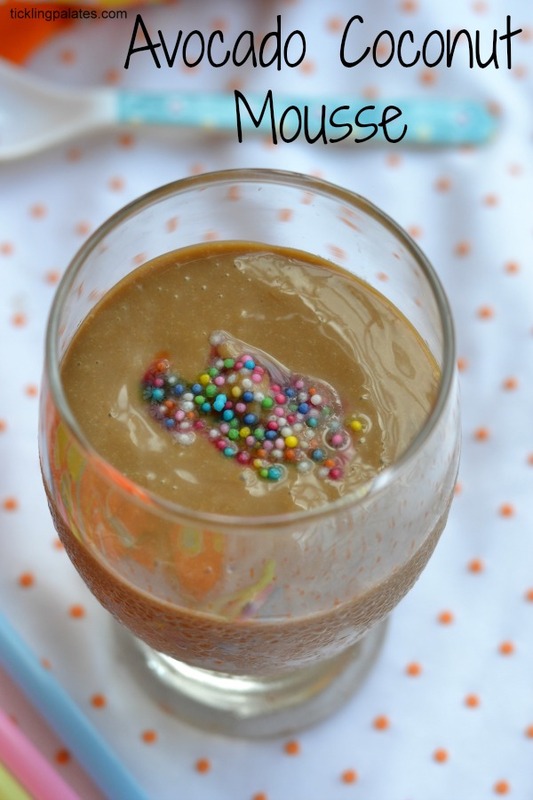 The mousse looks great.